A cover letter accompanies your CV and can mean the difference between a successful application and just being completely ignored by a potential employer. It can seem like a daunting task writing your cover letter, however if you take it step-by-step then you will find writing it a much more manageable task. Need some help with your CV writing? Visit our CV Writing section. A cover letter is sent with your CV when making an application for a job. It will give more specific details about you and your suitability for the role for which you are applying. Your letter should complement and not duplicate your CV. The main purpose is to add a personal touch to the facts outlined in your CV. It is often your first communication with a potential employer, creating a critical first impression. We offer three tools to help you with your writing; our Free Guide, our Writing Service, or our Templates. Your letter should be tailored to fit each type outlined above as well as for each position you seek. If you have been referred to a potential employer by a mutual acquaintance, be sure to mention this contact, as it is likely to encourage your potential employer to keep reading. If you are writing in response to a job advertisement , indicate where you learned of the position and the title of the position. In both cases it is crucially important that you express your enthusiasm for the role and outline that you feel that your skill set matches with the requirements for the job position. If you are writing a prospective letter outline your specific criteria for a potential position. Since this type of letter is unsolicited, it is more important to capture the reader’s attention. With both types it is a good tip to mention something personal to the business to show that you really are interested in the role and have taken the time to do some research. For instance you could highlight how your research into prospective employment has highlighted the company as a leader in it’s particular industry. Alternatively mention that you have heard that your potential employer is a great company to work for. When responding to an advertisement, ensure that you refer specifically to the criteria listed in the advert and illustrate how your particular skill set and experience relate to the position for which you are applying. In the prospective version express your potential to fulfil the employer’s criteria rather than focus on what the employer can offer you. You can do this by giving evidence that you have researched the organisation thoroughly and that you possess skills used within that organisation. Furthermore you should list your major achievements and key skills relating to the job position that you are applying for. If you do not have specific skills for the potential role illustrate how your education and work skills are transferable, and thus relevant, to the position for which you are applying. Conclude your letter by reiterating your enthusiasm for the job and letting the employer know how they can reach you. You should include your phone number and your email address to ensure you are as reachable as possible. Indicate that you will follow-up your initial letter with a telephone call to set up an appointment at a mutually convenient time within a set time period, of course ensuring that you make the call within the time frame indicated. 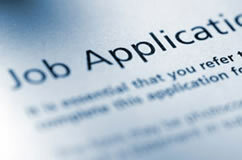 At the very least, you should confirm that your CV has been received and that your application is complete. It is ok to create a general template for your letter and keep the majority of the content the same, but it is strongly advised that you personalise each letter. This can be done by simply inputting the company that you are applying to’s name and the industry that they are in. To be effective explain the reasons for your interest in the specific organisation and identify your most relevant skills or experiences (remember, relevance is determined by the employer’s self-interest). They should express a high level of interest and knowledge about the position. If you are applying for a job where you have not been given an idea of the salary level then it is recommended that you state your salary expectation. We have a great deal of experience with letter writing and as such are able to offer a great value service. If you feel that after reading our free writing guide that you would still like some assistance with putting together your letter please contact us.